Love calculator based on horoscope compatibility of yoni signs reveals the love match, romance and intimacy level, online. Check Yoni match for Kadhal Porutham; and find out your yoni sign and the love compatibility, online. In Tamil astrology, Love horoscope matching is known as yoni porutham, yoni match, kadhal porutham, yoni compatibility and cittinba porutham. Love match can be revealed by matching the horoscopes of a male and a female, as described in Tamil astrology. 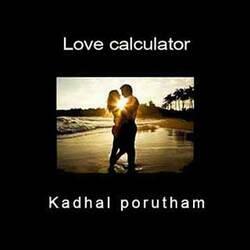 Yoni compatibility or kadhal porutham is meant for lovers for their intimate relationship and emotional attachments. Those who look for marriage partner should check our jathaka porutham for horoscope compatibility. Tamilsonline offers love horoscope match or zodiac match free, online. Vatsayana in kamasutra said that the matching of yoni through matching horoscope of two individuals, as a main factor that makes two people emotionally compatible. Yoni matching is assessed on the basis of animal characteristics determined on the basis of nakshatras. Each nakshatra is represented by an animal that has either masculine energy or feminine energy. Yoni porutham is also one of the thirteen poruthams in horoscope matching for marriage. Love astrology compatibility is unique and specific to your date, time and place of birth. If you do not have the birth details, we suggest you to check Numerology matching for marriage. Check the yoni compatibility between you and your partner, online. Free love match offered by tamilsonline is an ideal tool for those who are dating by Yoni sign.